Some of our equipment may be installed in explosive atmospheres. This is true of both liquid and gas fluid flow rate measuring points. The ATEX (Explosive Atmosphere) regulations require companies to manage the risk of explosion in these atmospheres in the same way as all other professional risks. Ultraflux has an entire range of converters, which can be placed in an ATEX zone or the safe zone. These converters are supplied in a special enclosure, made of cast iron, aluminium or stainless steel, and were specifically developed by our design office for use in an explosive zone. In certain conditions, we are also able to install probes in zone 0. Our equipment, available in mono-chord and multi-chord versions, with clamp-on or intrusive probes, is certified by the Laboratoire Central des Industries Électriques (LCIE). It is possible to install Ultraflux equipment on pre-existing equipment or to work exclusively with new equipment. Our engineers and technicians are trained in installing and commissioning our products in high-risk environments and can assist you at your request. Technical measurements on pipeline networks, excluding commercial metering: shipping or receiving for control purposes and line balance for 6″ to 32″ multi-product pipelines. 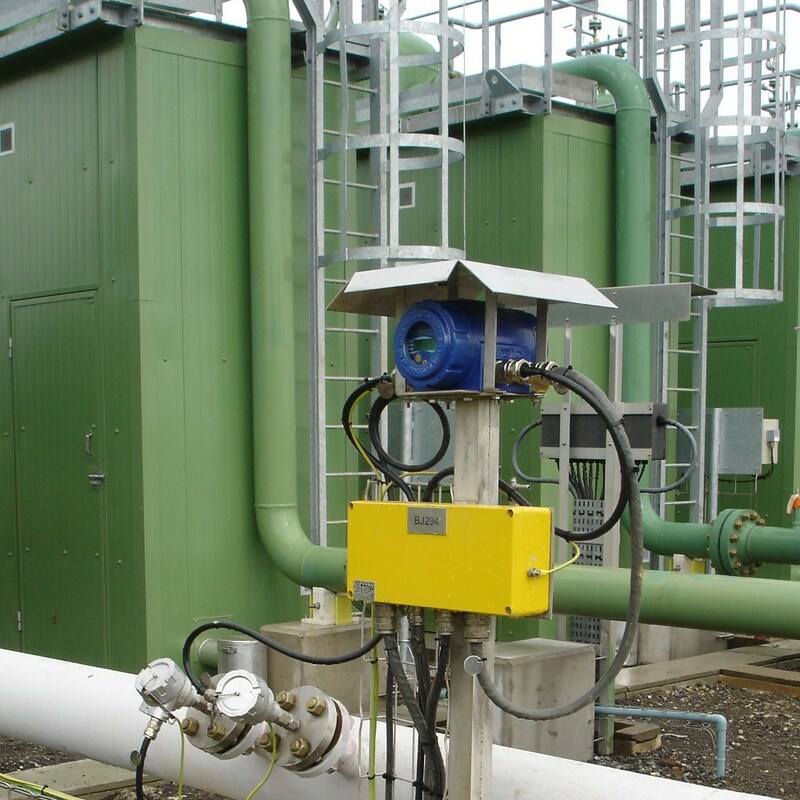 Oil depot measurements, including monitoring of movements to and from boats or pipelines with particular emphasis on checking pumping operations. Measurements to manage samplers during receipt of crude oil. The measurement can be taken just after the unloading arm, with a 56″ pipeline. Measurements upon receipt of hot or refrigerated LPG (butane or propane) with a gas detection function, transmitted to the commercial metering chain. Measurements for in-line conditioning or mixing, such as the preparation of LPG fuel or liquefaction of crude bitumen before cracking.. Monitoring the flow rates of additives, such as Mercaptan (THT) or furan-2-carbaldehyde for substandard diesel fuel. Due to their low flow rates, these measurements are often taken using specific spools. Less frequently, but just as effectively, we can provide multi-chord systems for skids, when custody transfer certificates are not required. Over the last few decades, our hydrocarbon expertise has continued to earn us the trust of our partners: As a result, Ultraflux is recommended by the largest oil groups around the world. Click the following link to discover our ATEX flow meters.